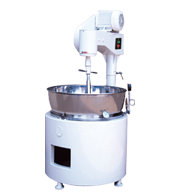 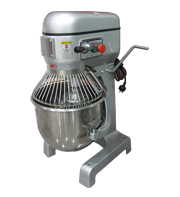 Professional Food Machine Manufacturer - Good Friend Food Machine Co., Ltd.
Good Friend Food Machine Co. specializes in Planetary Food Mixer, Cooking Mixer and food equipment in Taiwan for thirty year experience. 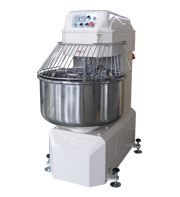 Currently we already have a numerous satisfied customers in many countries. 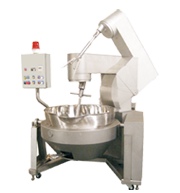 We have the confidence in the quality of our food machines. 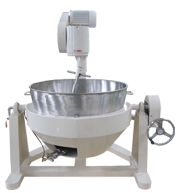 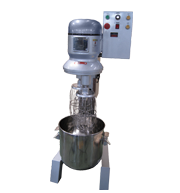 The constructions of our food machine are strong and durable. 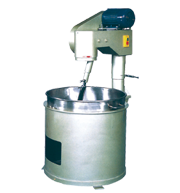 We use high quality hardened steel with heat treatment for the high precision gears and strong motor. 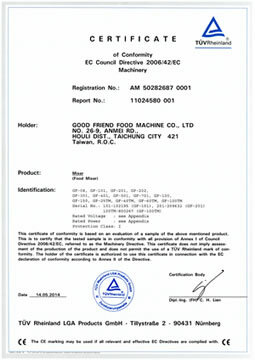 The ISO 9001, and European CE certifications are testimonials to the excellence of our products. 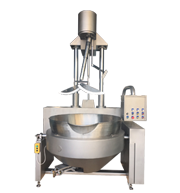 With our strong product development team and outstanding engineering group, we are continuously developing, high quality and innovative products to meet every customer’s satisfaction.Good Friend is the best friend of your business.